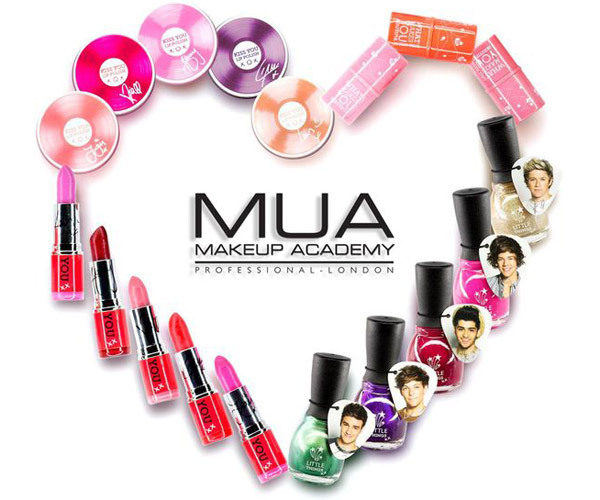 Boy band of the moment, One Direction, has launched a makeup collection with MUA Cosmetics. It's weird, but if Bieber can launch perfumes for girls, I say why not. I might pick up a few today. I got a sneak peek at the Pout Polishes the other day, and they're cute! MUA ships worldwide if you want to order online. Cute :) I really want to try the lip/cheek tints!